news Nokia and Estonia-based cable operator Starman have announced that they will deploy the first nationwide 10-gigabit residential network in Europe. The new Ethernet Passive Optical Network (10G EPON) – built by Nokia – is planned to enable Starman to “cost-effectively” deliver new ultra-broadband services to residential customers living in Estonia, Nokia said in a statement. The network will be gradually rolled out in the last quarter of 2016 “following successful lab and field tests”, the firm added. Starman apparently opted for Nokia’s 10G EPON solution for both its economy and its technological flexibility, allowing the firm to adapt to future industry trends. The local conditions are also beneficial, allowing the operator to reuse existing cable ducts in the street. Further, Starman can leverage its in-house cabling rights to bring fibre to each premises. The solution also supports DOCSIS provisioning over EPON (DPoE), which eases integration into the existing cable network and DOCSIS back-end systems. Another benefit, said the tech giant, is that its system includes Nokia’s Optical Network Termination (ONT) devices, providing consumers with the “latest generation” gigabit Wi-Fi technology. “After careful consideration of the different technology options, we determined that Nokia’s 10-gigabit fibre network would allow us to deliver the best service and end-user experience to our customers,” said Starman Group’s Technology Director, Jaanus Erlemann. According to Nokia’s statement, Starman has observed a “clear shift” from broadcast TV to on-demand TV and video services. Further, Internet traffic has been growing approximately 50% year on year in its home country. Nokia said that, based on these factors, Starman decided to go for “future-proof” technology to ensure their network can deliver 1Gbps speeds to all customers in the short term, and up to 10Gbps “when required”. The Nokia 10Gbps solution, it said, makes Starman “the first European cable operator to commercially deploy a 10G EPON fiber access residential solution for brownfield deployments”. “Starman’s choice recognises the value of Nokia’s fibre products to support the evolution of capacity, bandwidth and services in their network. 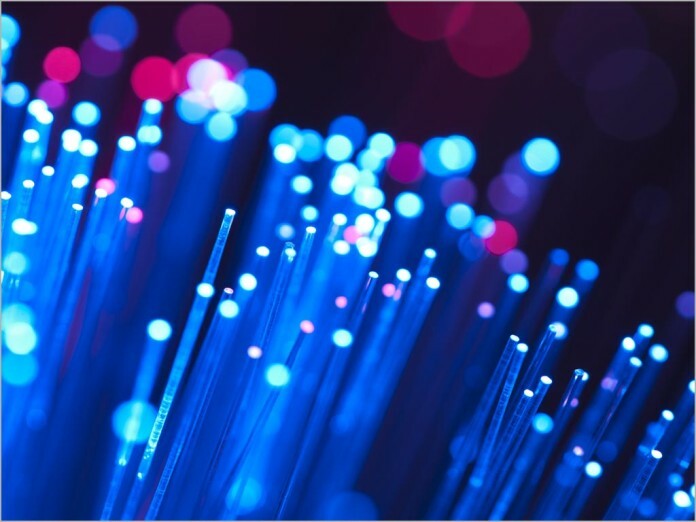 We are proud that our fibre access solutions and expertise helps cable operators meet customer demands with high-capacity, high-quality connectivity,” he said. Nokia said the deal between the two firms is an indicator of how cable operators across the globe are considering ‘deep fibre’ and fibre-to-the-premises (fttp) as a “realistic and cost-effective” alternative to upgrading their current DOCSIS 3.0 HFC networks to 3.1, in order to meet subscriber demands. “Today we are choosing solutions that can allow for symmetrical connections greater than 1Gbps, enabling us to skip some current technological developments and take a seat on the new high-speed 10G train,” Erlemann said. Just think. Australia could have been there, at the forefront of this ultra-high-speed broadband revolution, and taken advantage of the opportunities that it brings for commerce, education, services, and, yes, entertainment. Yes that option existed in 2008, but Labor chose to implement speed tiers. Do you really think a plan for less than 1% to be connected at 1Gbps in 2026 is anywhere close to ubiquitous 10Gbps? Currently on fibre 79% have opted for 25Mbps or slower and only 16% (down 3% in 12 months) for 100Mbps. Almost 3 years are NBNCo added 1Gbps to the wholesale plans, not a single RSP has the plans available for purchase. Lol Mathew do you think with the current plan is anywhere close to ubiquitous 10Gbps by 2020? Hasn’t anyone told them that there is no need for such speeds? All anyone needs is 25Mbit. Just ask Richard et al. His claim back when the NBN was first announced and he infested ZD was that 1Mb was enough, any application needing more was just being inefficient and wasteful. Of course he wouldn’t remember me, nor the other times he’s talked to me, because I am not stupid enough to use my full name on the internet and cycle aliases regularly. He has challenged me many times to show use cases for 100Mbit, but then tells me I am not allowed to use multi-user/multi-device households as an explanation. I have to show a single use that needs that speed or else it is just a “waste”. I remember when the 56k modem came out after i upgraded from 28k to 32 or 36 whatever it was… i remember laughing at who would ever buy the 56k when 30kbs was far from enough.. silly people! I was an early ADSL adopter. I remember being told when I upgraded from 256Kb to 512Kb that it was pointless, no servers could supply that sort of demand (heard that one a number of times about FTTH). Just short sighted people who somehow are oblivious to how fast things change, how since computing started no one ever overestimated requirements, but boy did they underestimate, usually due to pressure from bean counters. Not a good day for copper fanboy knuckle draggers, everyday progress is made with fibre in other parts of the world and the size of their copper “safe spaces” shrinks even more. With the realisation what the Coalition clowns and GimpCo have been claiming about current & future speed requirements is political motivated lies, will they ever admit they were fooled or continue with even more irrationality? Yep, history was never on the copper knuckle draggers side and the FTTP snow ball is rapidly turning into an avalanche! Be honest Simon, would you ever invite one to dinner? Why don’t they just use copper? No-one will ever need those speeds this is just ridiculous. Oh by the way great value on PayTv at the moment too. (where walking 20min down the street and back with a USB stick etc is still quicker). Copper and 25mbps are the future! has anyone noticed that its a private company doing the upgrade and not the government? Australia’s biggest failure was the government trying to get involved where it should have encouraged private companies to take the lead. Then we get stuck in the political space where multiple social issues are all competing for the same bucket of money. Political parties like selling promises to people who are so used to handouts they believe they deserve better. Such people are never satisfied and such governments are never successful. Until you see the Government buy back all pits, pipes and exchanges and class them as national public infrastructure (like Roads and Rail). Only then will you see private enterprise invest in the Australian Telecommunications Market. Why invest in Australian Telecommunications Market when you have to deal with bias, unfair and artificially inflated costs dicted to you by Telstra? Yeah cause last time someone tried to build infrastructure to compete with Telstra they got crushed, Optus almost went bankrupt and no one had been stupid enuf to try again. Last mile Infrastructure should be be owned by the gov and provided as a level playing field for all access seekers to provide retail services from. Oh wait, that’s what NBN was setup to do before the LibTroll’s made a mess of it! You forget labor tried just that with the FTTN tender but the private sector didn’t want to do it. Yep, in 2007 the Rudd government put FTTN (!) out to tender and received six proposals from companies, none of which were good enough. At this point I wouldn’t mind seeing companies incentivised to do it in some way, but there is a big risk of it falling into the American situation where each company is a monopoly in its own area and 63% of Americans have a ‘choice’ of one ISP. Australia’s biggest failure was the government trying to get involved where it should have encouraged private companies to take the lead. Gotta love the naivety, gullibility, subservience or all of the above eh HC? Both sides made several attempts over a decade. The private companies just weren’t interested, or weren’t large enough, to do it at a national level. At completion of the NBN in 2020 (going by almost all large projects, it won’t be on time), most people in Australia will still have 12 or 25Mbps (IF it works well, which would be miraculous) and they will have it for at least several years. For a price tag of some $50 billion. Nothing less than a disaster. There will be many people who will want Turnbull and Abbott’s heads on sticks. It does not matter if it is needed now, it is coming in just the next few years to most other developed countries. The MTM is the biggest swindle in Australian history. Hmm, I expect all the current LNP denialists who say all we need is 25mbs, for the 21st century Internet, will avoid commenting here like the bubonic plague. If I was them, I’d be ashamed of myself for advocating a luddite so last century obsolete style system. They really owe all of us an apology. However they have no shame and lack self-awareness so they rarely consider anyone else. It’s the same reason they lack the foresight to consider the future when dealing with communication infrastructure policies. Where is the most knowledgeable human being in history, to tell us the end goal isn’t fibre and that Nokia and Starman are uneducated piggie squelers and fanbois? An ideology that many in business cling to. Meanwhile, out here in reality, with Telstra around, no one did deliver and no one will deliver. In the USA, with the copper and cable operators around, no one else is delivering except around the edges in a market that’s much easier with the population. It’s not hard to understand why they decided on a government NBN. Mr T should be lashed to a node and flogged with the cat o nine tales made from copper wire.